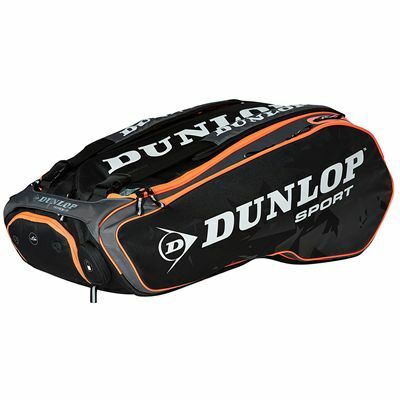 The Dunlop Performance 12 racket bag will let you carry up to 12 rackets or other gear in the 3 main compartments, with a thermo lining that maintains a good temperature in the bag to shield rackets from exterior conditions and keep their string tension accurate. The bag boasts a ventilated footwear section to separate shoes from other items, 2 accessory pockets, a protective pocket for your valuables, an insulated bottle pocket for keeping drinks cool and a spacious ventilated hydro pocket for dirty or wet kit. 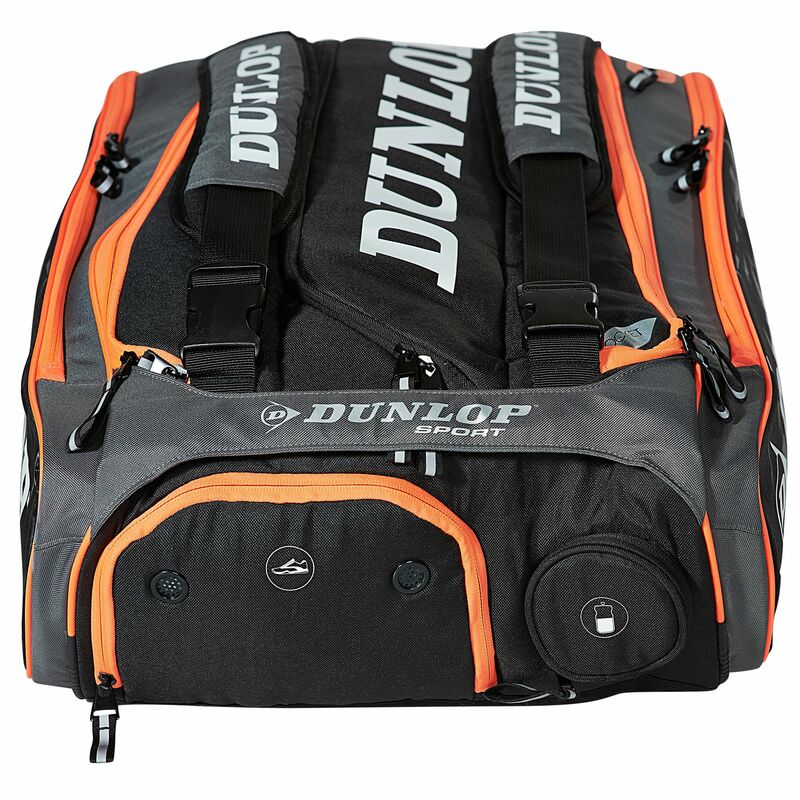 The racquet bag has detachable and adjustable padded shoulder straps and a carry handle to make this very practical and convenient bag more comfortable to carry. Great piece of kit. Loads of room. Good features with plenty of capacity to hold all the kit! Strong build and good value for money! V satisfied! for submitting product review about Dunlop Performance 12 Racket Bag AW14.